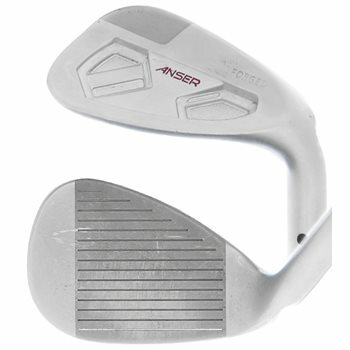 The PING Anser Forged Wedge has improved feel and control that come from a head forged out of soft 8620 steel. There is a thicker hitting area, and reinforced back cavity in the Anser wedges. The sole tapers wider from heel to toe for improved performance from tight lies and bunkers. Grooves milled to the tight tolerances offer exceptional spin. A tungsten toe weight optimizes the CG and elevates MOI to ensure a low, boring trajectory. A toe stabilization bar allows for workability with forgiveness when opening the face to play finesse shots around the green. PING pairs the Anser with True Temper’s DG Spinner shaft, which increases spin for more stopping power on the green.